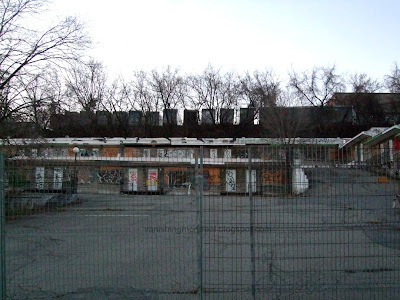 Famous/infamous Montreal landmark was closed 1 years ago, in October of 2009. 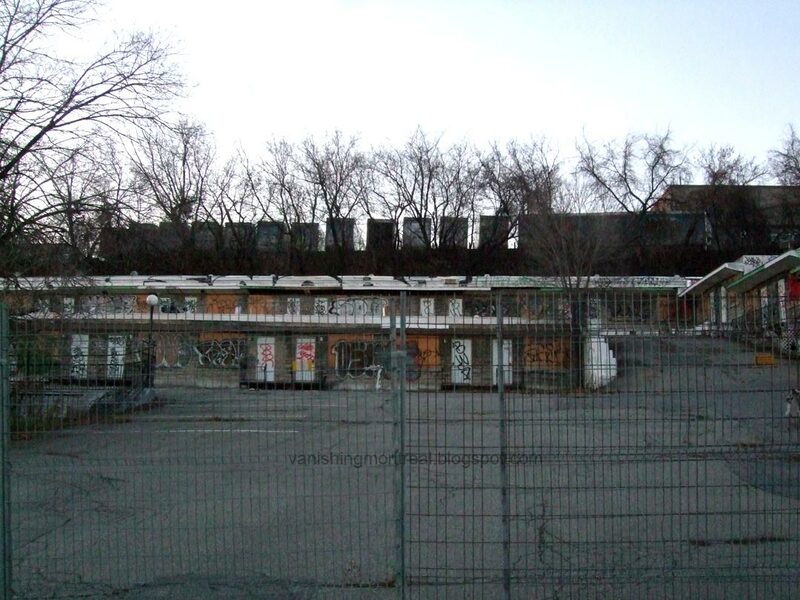 Many won't miss it as they saw it as an eyesore but it's been in business for over 40 years and became, in spite of itself, a Montreal Landmark. 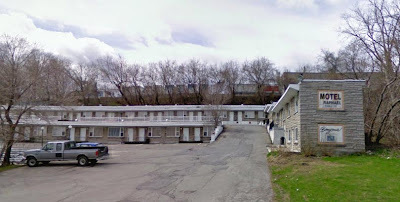 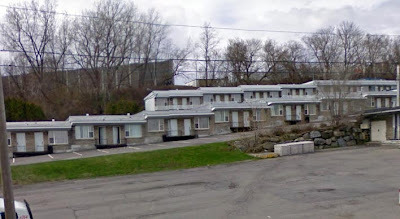 The motel was supposed to have been demolished this past spring but somehow it was still standing when I took the "after" photos in November 2010. The "before" shots were taken from google maps when it was still open for business. 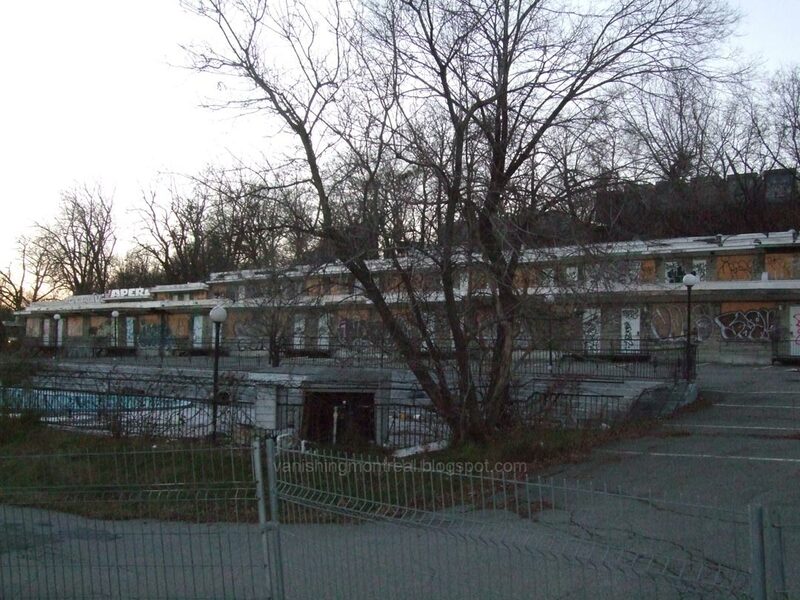 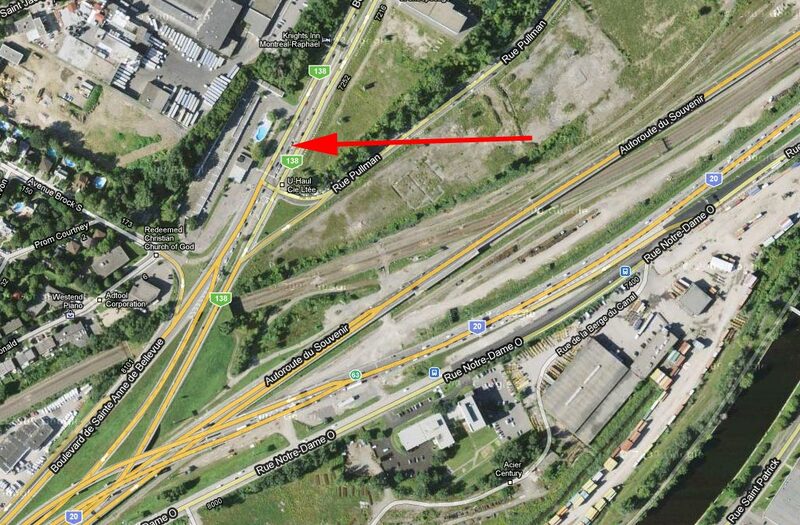 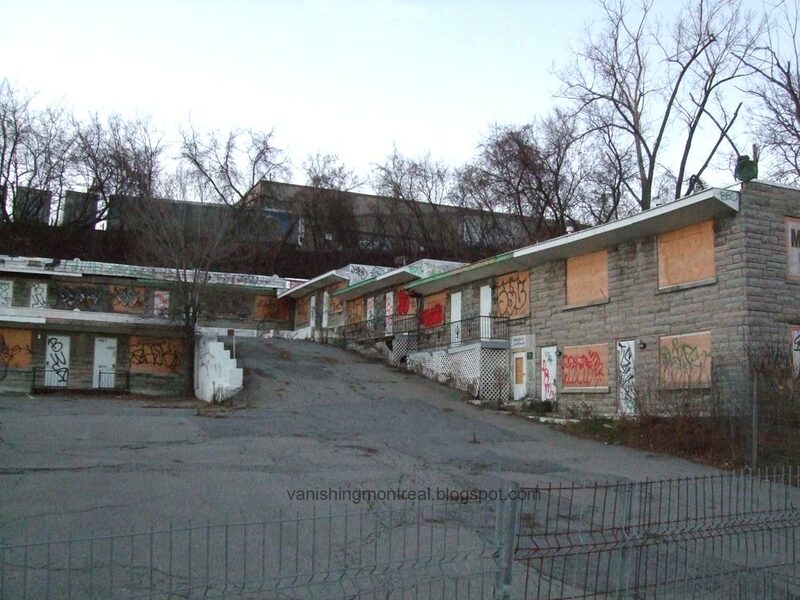 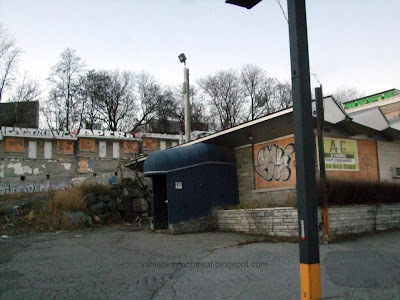 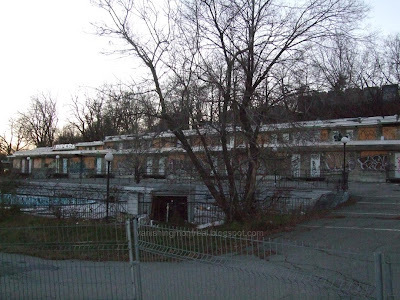 It's somehow sad that it's gone because that area is one of the many real Montreal dead zones with few memorable spots and the motel was a reference point whenever driving by that somewhat ugly area. 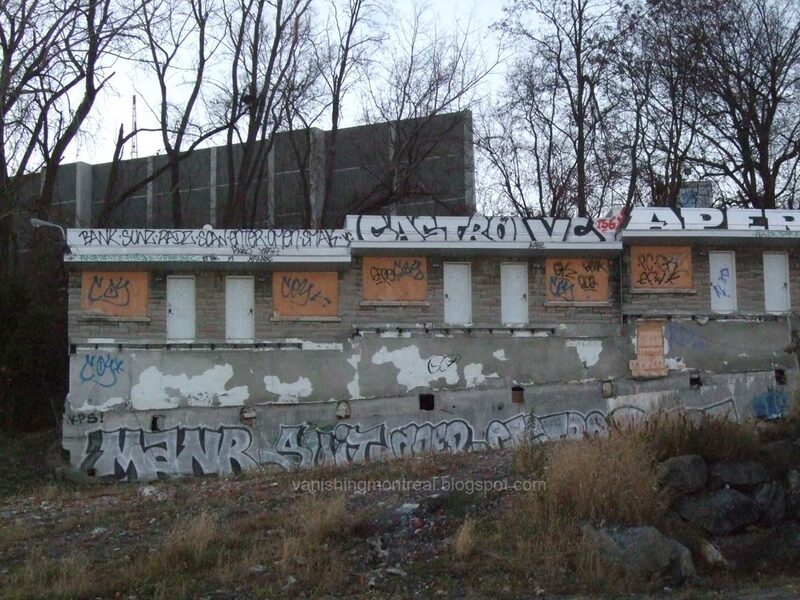 I wonder what will they build there. 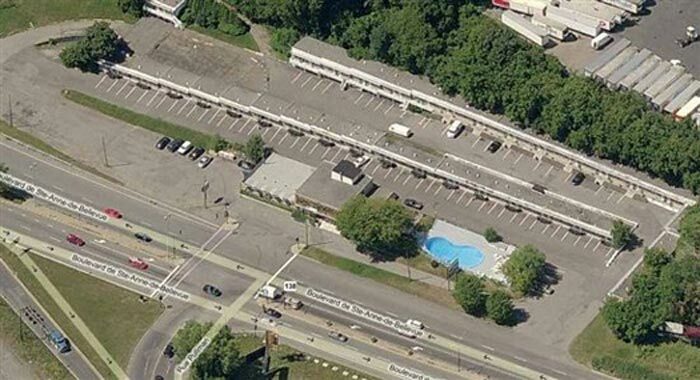 According to an article at The Gazette, 20,000 vehicles drive by there a DAY. 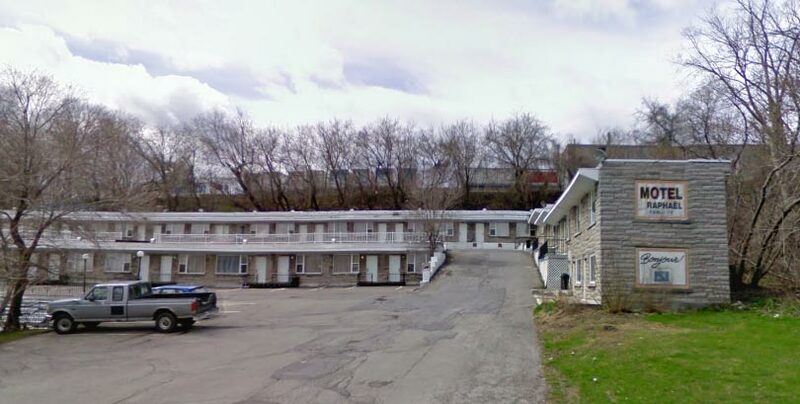 Who would want to live at such a busy location?